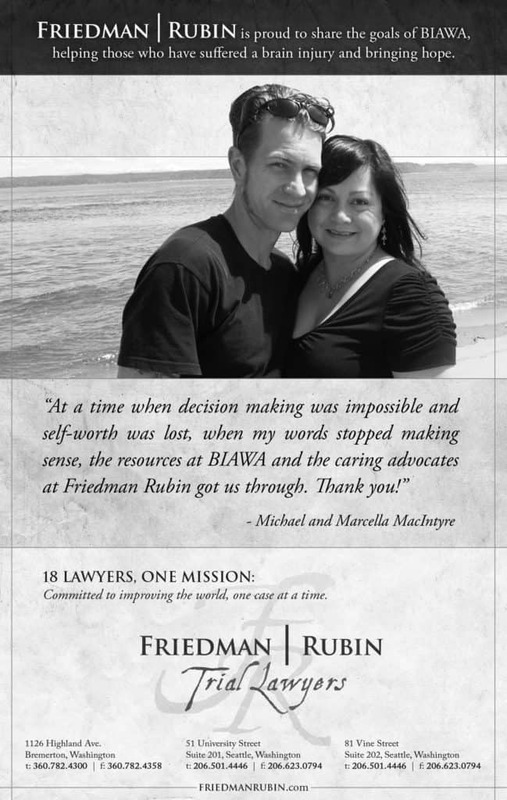 Friedman | Rubin is proud to be a sponsor of the Brain Injury Alliance Washington (BIAWA) 10th Annual Gala, Dinner & Auction on Saturday, October 29th, 2016 at the Westin Seattle Hotel. We invite you to join us for the largest Brain Injury Fundraiser in the country to help us further their mission to increase public awareness and provide hope and support for those affected by Brain Injury through education, assistance and advocacy. RSVP by clicking here.